Hi! 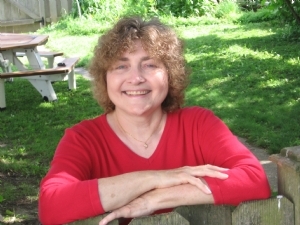 I'm Janet Halfmann and I write picture books and nonfiction. My picture book biography, "Seven Miles to Freedom: The Robert Smalls Story" (Lee & Low Books, 2008) has received several awards, including Starred Review in "Kirkus Reviews" and Honor Book from the Society of School Librarians International. "Little Skink's Tail" (Sylvan Dell Publishing, 2007), was chosen as one of the three best children's books for 2009 by the Mom's Choice Awards. The book also won a 2009 Teachers' Choice Award from "Learning Magazine" and President's Book Awards from the Florida Publishers Association. I also have written many nonfiction nature titles, the most recent being "Hermit Crab's Home" (Soundprints, in association with the Smithsonian Institution, 2007). I grew up on a farm in mid-Michigan and now live in Wisconsin. Before my career as a full-time children's writer, I created coloring and activity books for Golden Books, edited a children's magazine for country kids, and was a reporter for a daily newspaper. I am the mother of four and the grandmother of four. I enjoy gardening, exploring nature, reading, visiting new places, and spending time with my family. Hi, Kathleen. Nice to see you here, too. I can't wait to see the art for Little Black Ant on Park Street. Hi Janet! I am the illustrator working on the Little Black Ant book! Nice to see you here!